Now three months later, Trump is using his ties to the Empire State and his own understanding of New York values to propel his candidacy to what is expected to be a landslide victory in Tuesday’s primary. As Cruz struggles to find a true base of supporters in the state and Ohio Gov. John Kasich fights to keep the faith among voters who realize he can no longer win outright, polls are placing Trump as likely to win the majority of voters—and therefore all of New York’s 95 delegates. But while the GOP frontrunner is eager to emphasize just how New Yorker he is, often holding press conferences from Manhattan’s Trump Tower, there’s one New York community he hasn’t embraced in his run for president—his hometown of Jamaica, Queens. Trump spent his formative years in Jamaica Estates, an upper-class, mostly white Queens neighborhood that’s only a 30-minute drive from Midtown Manhattan. A trip to Trump’s hometown yields more questions than answers as residents who live within the Estates and in greater Jamaica struggle to understand how a man who grew up near a historically African-American community can hold anti-immigrant positions that some label as racist. Before being shipped off to New York Military Academy in high school, Trump and his four siblings—Robert, Maryanne, Elizabeth and Fred Jr.—grew up in a stately 20-room brick home that his parents, Mary Anne, a homemaker and philanthropist, and Fred, one of the city’s biggest real estate developers, built. It was one of three houses where the Trump family live in Jamaica Estates, and it’s where Trump’s parents lived until they died. Today, the neighborhood that Trump once called home sits within one of the most diverse counties in the country. Jamaica, Queens–especially Hillside Avenue—is the epitome of a melting pot. 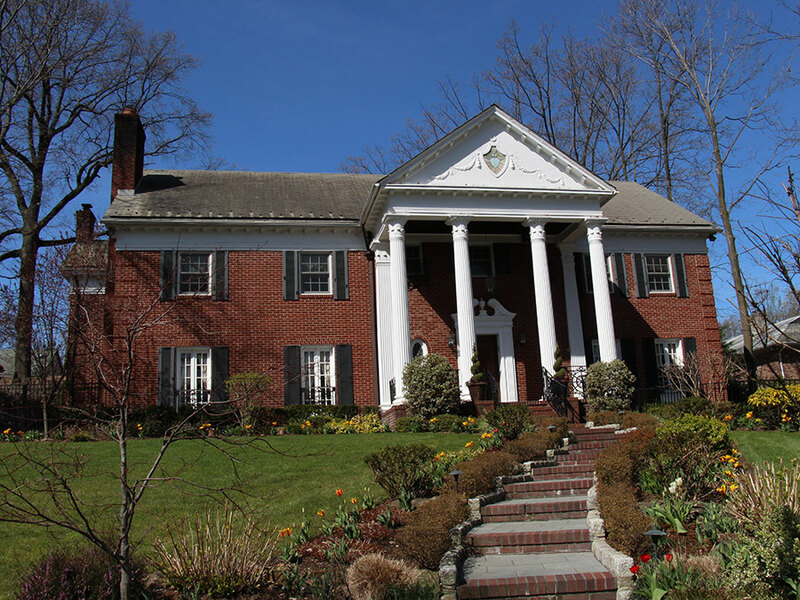 Today, Jamaica Estates still remains distinct from the rest of the New York borough, with its winding tree-lined streets and large single-family residences that contrast with the apartments dotting the rest of the borough. It’s mostly upper-middle class, white population has also experienced change. There are now a number of Orthodox Jewish synagogues in the community and a mosque has opened just a few blocks from Trump’s former home. Residents of the community are largely welcoming of the influx of new religions and many who grew up knowing the Trump family continue to struggle to understand where Trump developed his ideas. Taylor remembers Trump as having a reputation of being a troublesome kid growing-up, “Most of the [Trump] kids went to a private school located in Queens. It was only Donald who was sent off to school. He wasn’t very well behaved … why [else] did somebody get sent to military school in those days?” she said. Trump has distinguished himself as a presidential candidate who embraces being politically incorrect. He’s made headlines by calling for a blanket Muslim ban and promising to build a wall along the U.S.-Mexico border to keep immigrants out. For those who agree with Trump’s stump speech, he’s the outspoken political leader they’ve been waiting for. For those who do not, his opinions are often seen as blatantly offensive. The borough of Queens overwhelmingly votes Democrat and in 2012 more than 78 percent of residents voted for Barack Obama. For many Jamaica residents, stunned and angered were common reactions after learning of their connection with the real estate mogul. “Racist” was the word Theona Davies, 23, said popped into her mind when she thought of the candidate. “Because just his viewpoints on immigration, and his attitude towards people coming together, I feel like it’s not in a good place.” Davies, who works as a home attendant, said the differences between the Trump she sees on TV and the Queens she knows is striking. Many residents in the borough criticized the candidate for failing to embrace his roots and challenged him for not investing in his hometown.